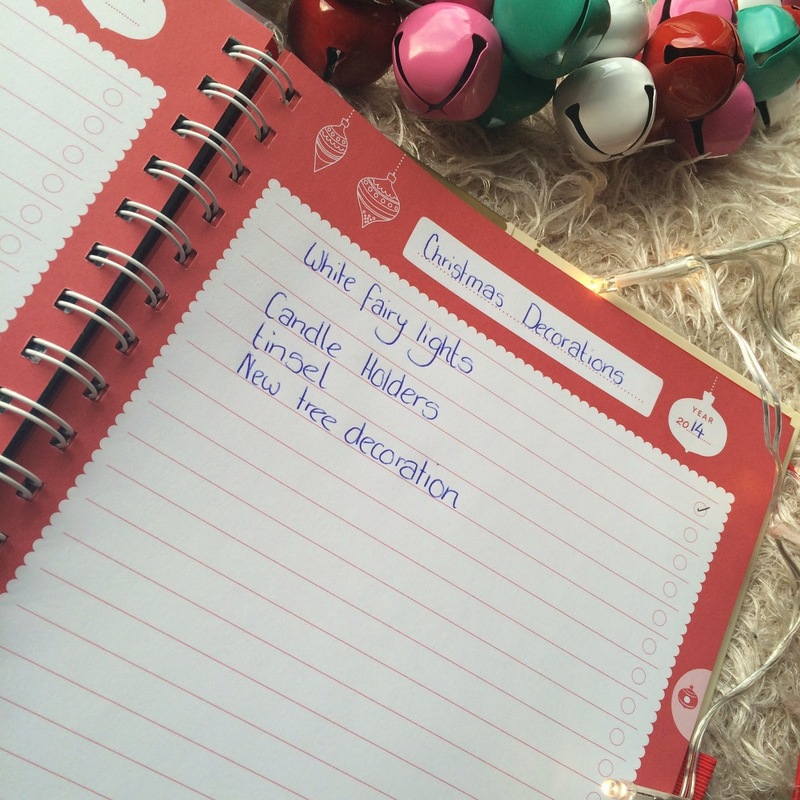 Getting organised for Christmas can be pretty hard work. It can end up being a really stressful time of year - fighting through the crowds on the high street, working out who's cooking what on Christmas day, spending too much/too littler or struggling to think of a gift while aimlessly wandering the gift set isle in Boots for hours on end.... We've all been there! Like a lot of things in life, everything goes a lot better when there's some planning involved. I love a good notebook, There's something about whirring things down on paper that makes me feel like I'm really getting things done. I think it's the act of striking things off a to-do list, oh what a feeling! Busy B have something right up my street! 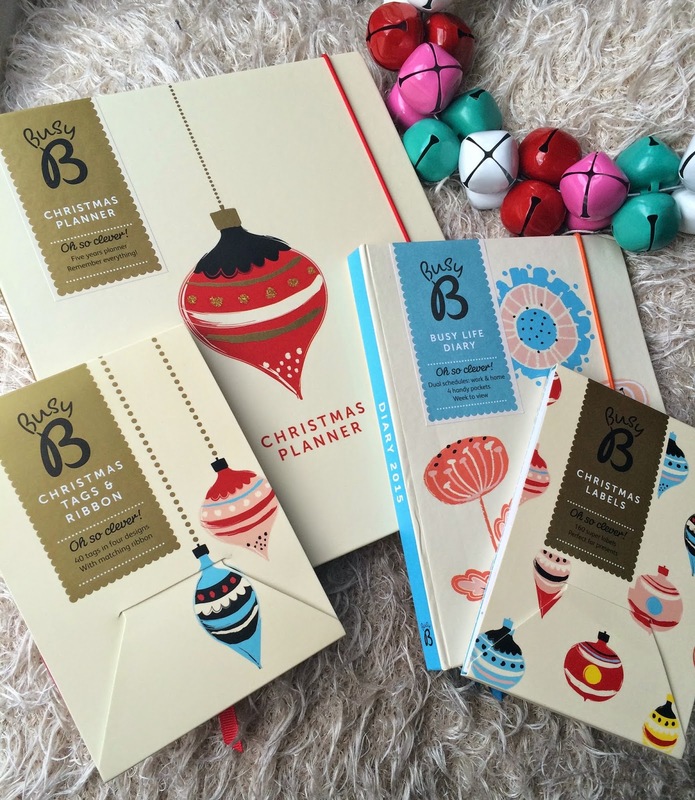 A planner to get all things Christmas in order. 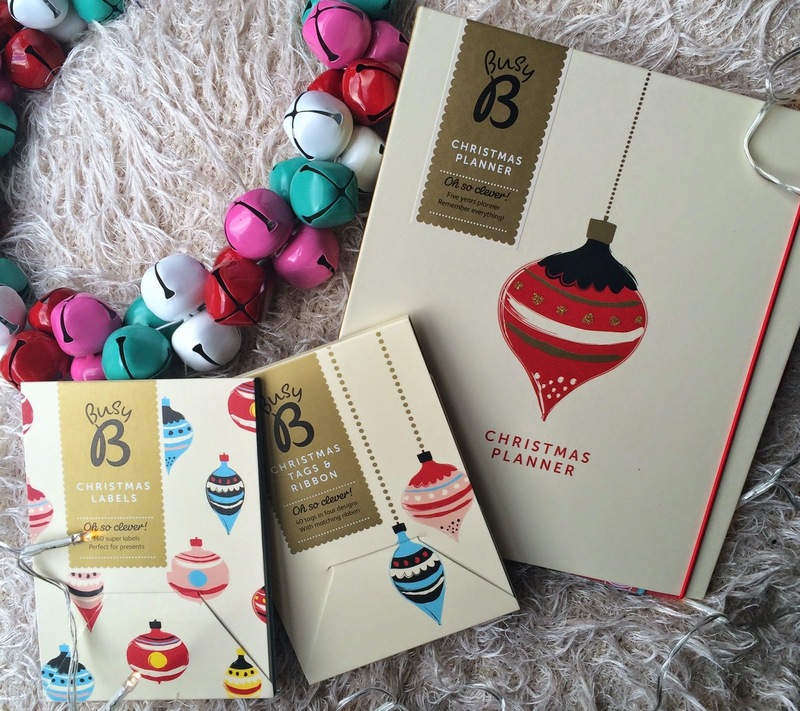 Their Christmas Planner (£14.99) lasts 5 years and has loads of sections to help get you organised. There's a section for your Christmas card list, along with space to keep their addresses safe and to mark down weather you received one from them! There's a tear off note pad and lots of little pockets to keep things like receipts in. There's a section for menu planning, so you can decide what nibbles to serve, what starters etc to consider and you can fill in the recipe pages when you discover something brilliant. There's a plastic wallet in there too so if you want to cut out a recipe from a magazine there is a place to keep it safe. 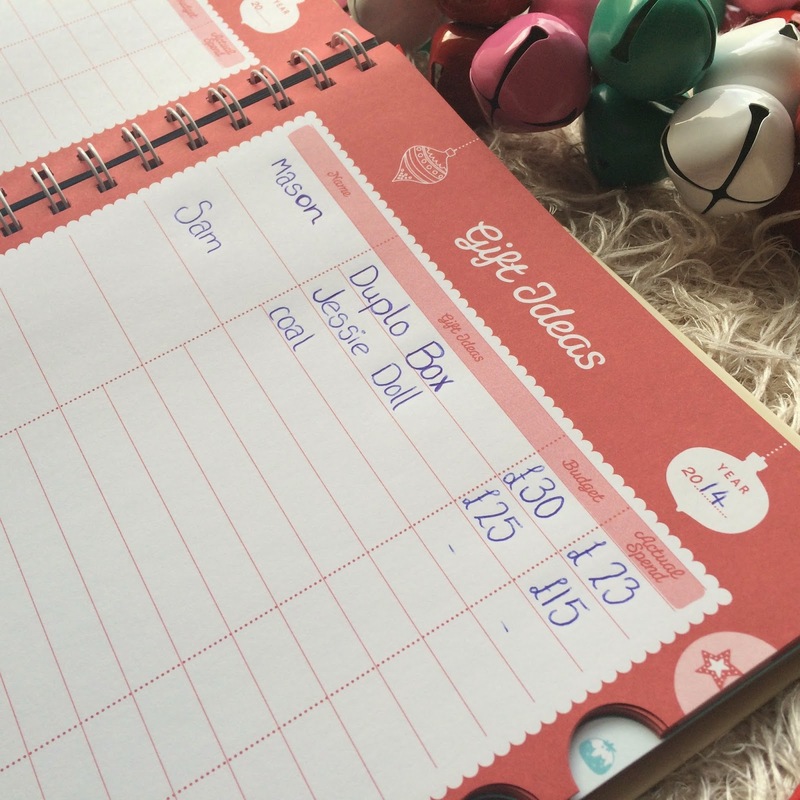 The page for gift ideas is my favourite, I'm always going over budget by buying extra presents on a whim but this way you can set a budget and keep track of exactly what you need to get. 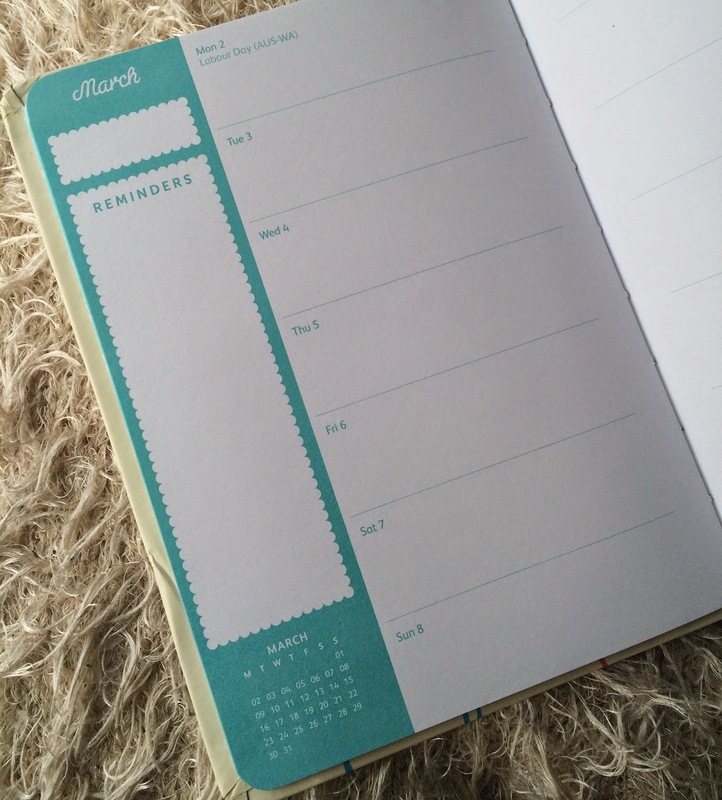 There's a planner section simply to write lists and check them off. A perfect place for to-do lists and to remind you of bits and pieces you might need to pick up. 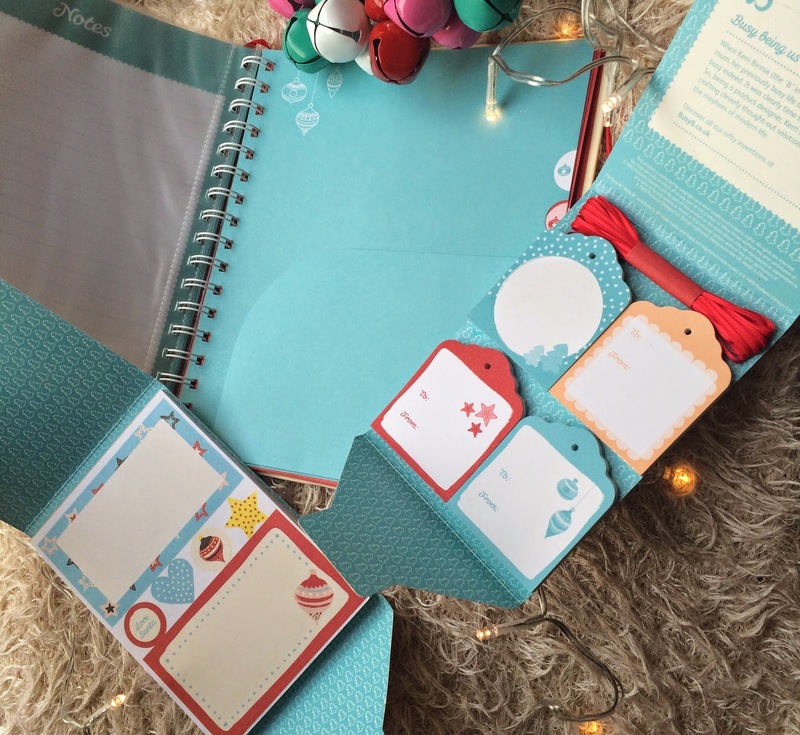 Along with the planner there's two great packs to keep your labels all together. I personally love this! I'm always running out of gift tags either from using them all up or just plain losing them. The Christmas Tags and Ribbon (£4.99) set is exactly that, 40 cardboard tags and a length of ribbon to tie them on with. The pack is resealable to it's a great way of keeping all the labels together. 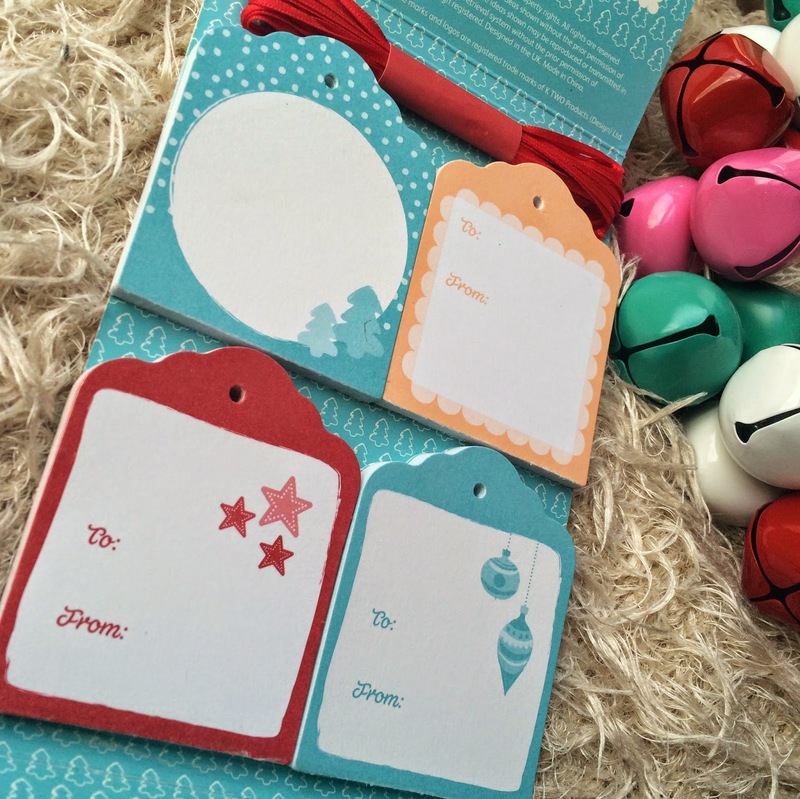 The Christmas Label pack (£4.99) has sheets of self adhesive labels along with stickers to use with wrapping -there's 160 of them in total so plenty to keep you going for a while! Some presents look nicer with labels stuck on and you don't have to worry about the tag falling off and getting mixed up -nobody wants their granddads nose hair trimmer by mistake! 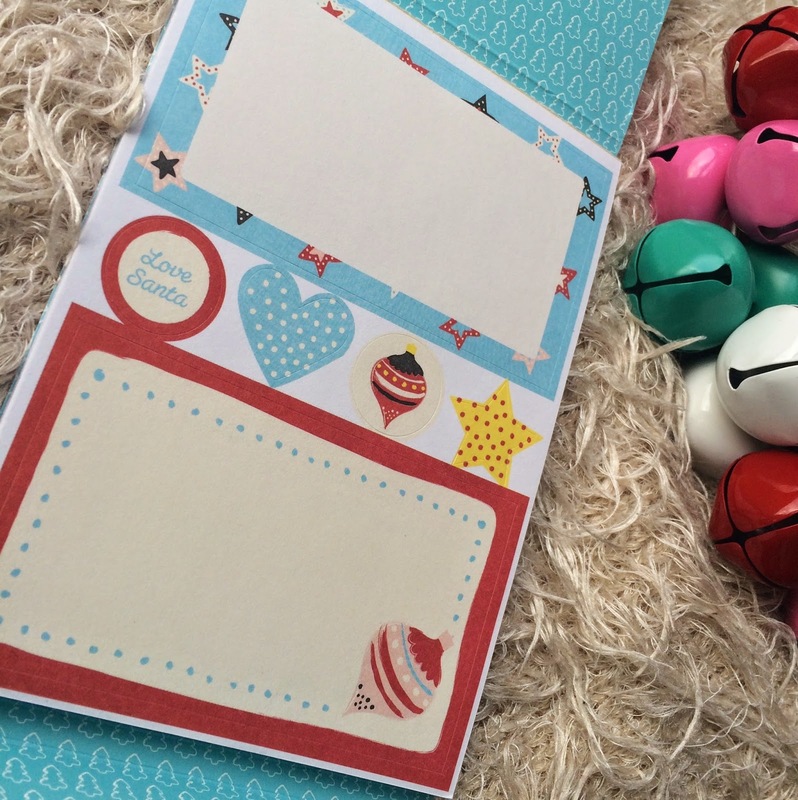 These are especially lovely to use with cards or when sending presents in the post. these also come in the resealable pack so can easily be stored away to use year after year. 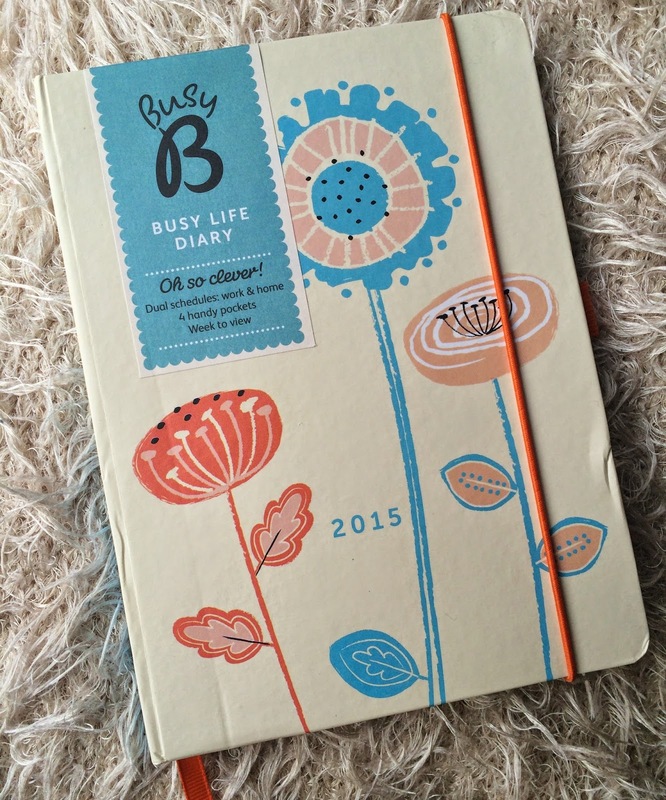 To help you get organised in the new year Busy B also have the Busy Life Diary (£9.99) which is a beautiful little planner which I know I'd find really handy. 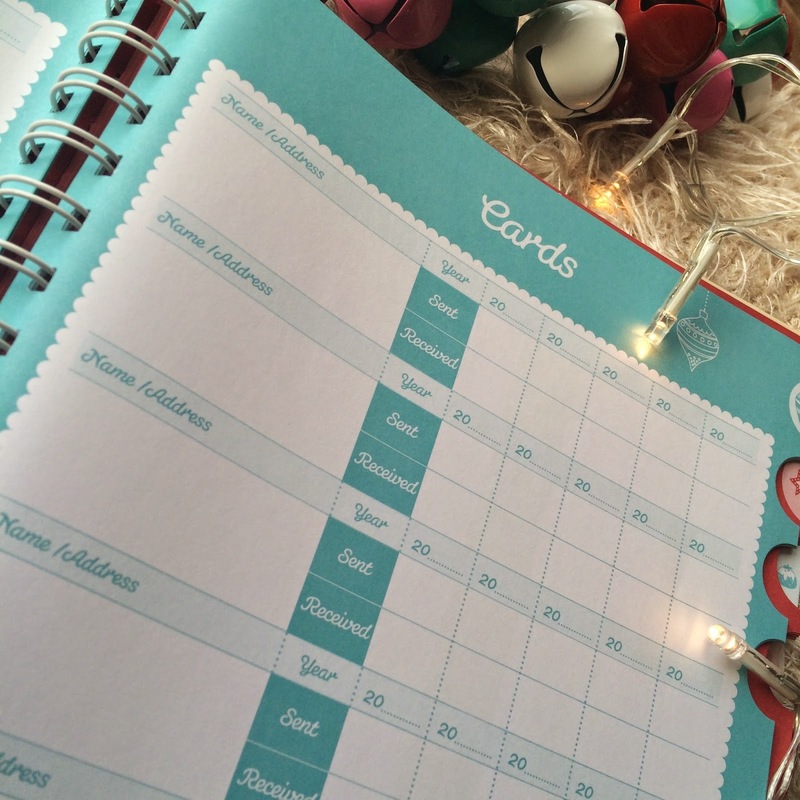 The A5 size gives you plenty of room to write down loads of information and there's a reminders box at the side of each page along with a guided section at the end of each month. I really love the flower design on the front. There's a holder for a pen at the side and lots of pockets throughout to keep hold of bits and pieces. It's really great for getting yourself organised. I'm running the competition for a week so the winner has plenty of time to use these lovely bits this Christmas. It's UK based only I'm afraid. I will contact the winner and they will have 24 hours to reply or I'm afraid I will have to pick another. Any false entries will be excluded from the giveaway. For Christmas I am hoping for some new luxurious lipsticks. My email address is Jodie182@gmail.com.